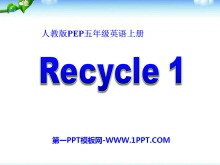 人教版PEP五年级英语上册《recycle2》Flash动画课件4 本课件通过动画的形式将人教版PEP五年级英语上册《recycle2》中的listen and answer展示给学生，形象生动，趣味性强，是很好的英语教学辅助课件。 关键词：人教版PEP五年级..
人教版PEP五年级英语上册《recycle2》Flash动画课件3 本课件通过动画的形式将人教版PEP五年级英语上册《recycle2》中的number and retell展示给学生，形象生动，趣味性强，是很好的英语教学辅助课件。 关键词：人教版PEP五年级..
人教版PEP五年级英语上册《recycle2》Flash动画课件2 本课件通过动画的形式将人教版PEP五年级英语上册《recycle2》中的listen and tick or cross展示给学生，形象生动，趣味性强，是很好的英语教学辅助课件。 关键词：人教版PE..
人教版PEP五年级英语上册《recycle2》PPT课件 学习目标 1、掌握4---6单元的所有词汇。 2、掌握重点句型： What can you do？ I can Can he swim？ Is there... . Yes，there is. / No，there isnt. Are there . 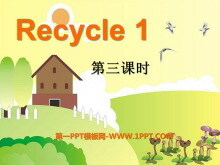 Yes，there are..
人教版PEP五年级英语上册《recycle1》Flash动画课件8 本课件通过动画的形式将人教版PEP五年级英语上册《recycle1》中的read and fill in the table展示给学生，形象生动，趣味性强，是很好的英语教学辅助课件。 关键词：人教版..
人教版PEP五年级英语上册《recycle1》Flash动画课件7 本课件通过动画的形式将人教版PEP五年级英语上册《recycle1》中的Listen and fill展示给学生，形象生动，趣味性强，是很好的英语教学辅助课件。 关键词：人教版PEP五年级英..
人教版PEP五年级英语上册《recycle1》Flash动画课件6 本课件通过动画的形式将人教版PEP五年级英语上册《recycle1》中的tick or cross展示给学生，形象生动，趣味性强，是很好的英语教学辅助课件。 关键词：人教版PEP五年级英语..
人教版PEP五年级英语上册《recycle1》Flash动画课件5 本课件通过动画的形式将人教版PEP五年级英语上册《recycle1》中的 Listen and circle复习展示给学生，形象生动，趣味性强，是很好的英语教学辅助课件。 关键词：人教版PEP..
人教版PEP五年级英语上册《recycle1》PPT课件6 A.School It is sunny today. 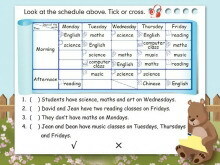 I am at Willow Primary School. It is so pretty. There are many yellow flowers. D.Friends and teachers David is my new friend. 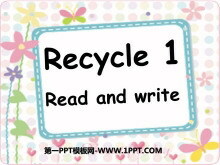 He is clever..
人教版PEP五年级英语上册《recycle1》PPT课件5 Look and say Look! 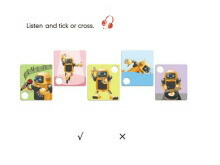 This is Willow School. Do you want to visit it? OK. Lets walk through it. 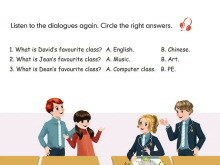 Who is English teacher? What is she like? What day is today? 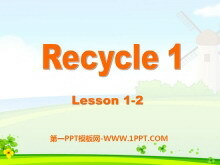 What do you ..
人教版PEP五年级英语上册《recycle1》PPT课件4 Chant it ! Sunday Monday Tuesday Wednesday Thursday Friday and a happy Saturday! 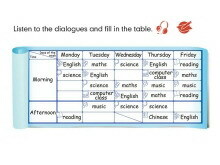 Group work Interview in your group and finish your card. 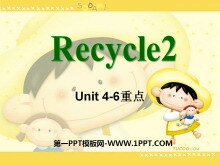 Then you can share your card..
人教版PEP五年级英语上册《recycle1》PPT课件3 Lets talk. What day is today? What do you have on Mondays? What classes do you like? What do you do on Saturdays? 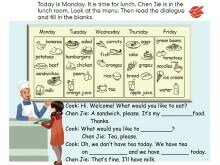 What would you like for lunch? 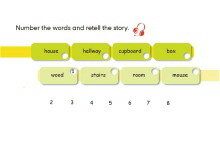 Whats your favourite ..